ANDREW BAKER gets his ears bent by the new top-end preamp and amp from NZ company Plinius, and deems them big, heavy, and capable of extreme delicacy. With its Latin sounding name you would be forgiven, especially if you’re new to the hi-fi game, for being unaware that Plinius is an entirely New Zealand based company operating out of Christchurch. 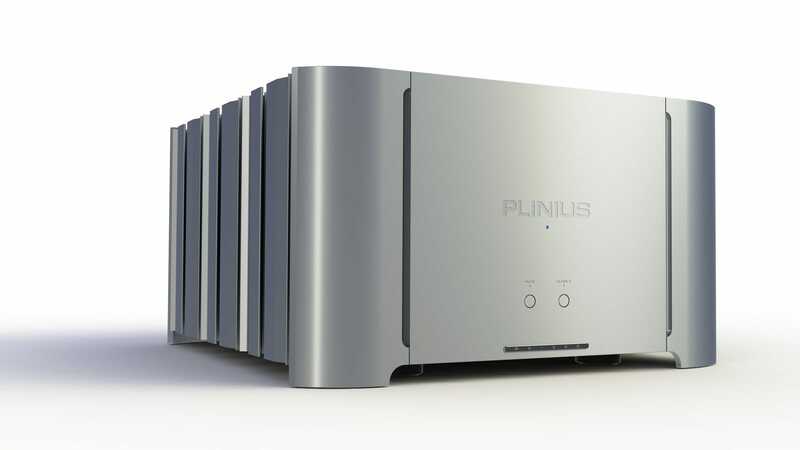 While not exactly a household name here in NZ, Plinius has built up an enviable reputation within the hi-end audio fraternity, here and abroad, with a range of quality stereo separates and integrated amps, CD players and phonostages. The company began in 1980 with the aim of providing quality hi-fi to the New Zealand market. 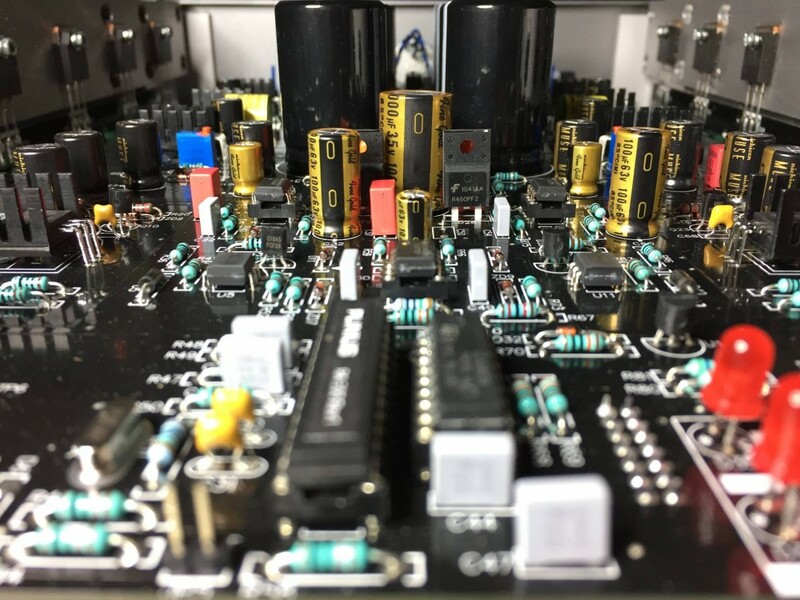 Even their earlier pre- and power amplifiers are snapped up for decent bucks on auction sites like Trade Me, and as they expanded as a company, so did their market audience. 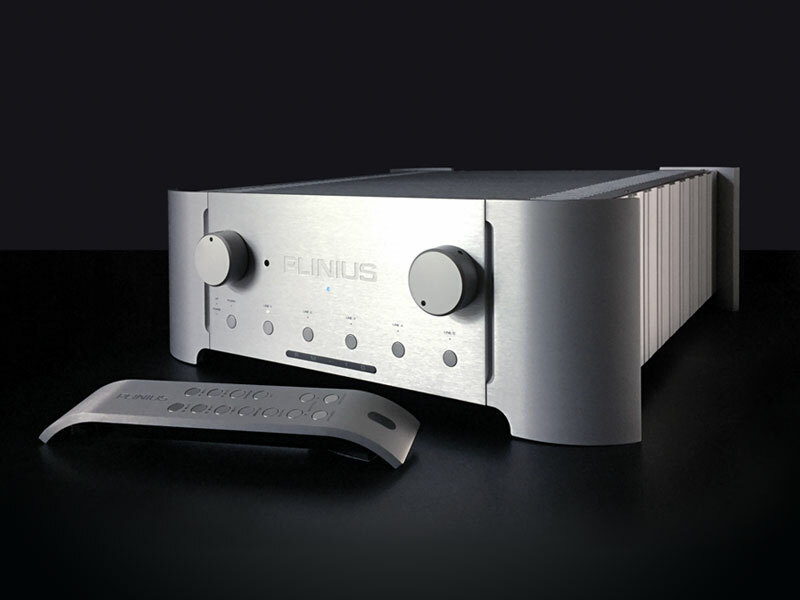 Many an overseas audiophile can be found online boasting a Plinius amplifier or one of their source components as part of their system. The first and sadly last time I heard Plinius amplification was about 10 years ago at The Listening Post in Hamilton. I was directed into a listening room by a friendly salesperson where a large Plinius power amp (the then reference I was told, though the exact model escapes me) assisted by a Plinius pre- and an unknown CD player was driving a large pair of reference Monitor Audio floorstanders. After marvelling at the heat being expelled by the power amp, I sat down for a listen and was instantly impressed with the effortless and cavernous sound. I remember enjoying how natural and finely balanced everything seemed and subsequently being in no hurry to get up from the couch and vacate the room. That experience has stayed in the back of my mind ever since so I was duly enthused when I was told Plinius was offering some gear for review. And not just any gear: their new flagship Reference Series pre- and power amps. Be warned: these amps are big. 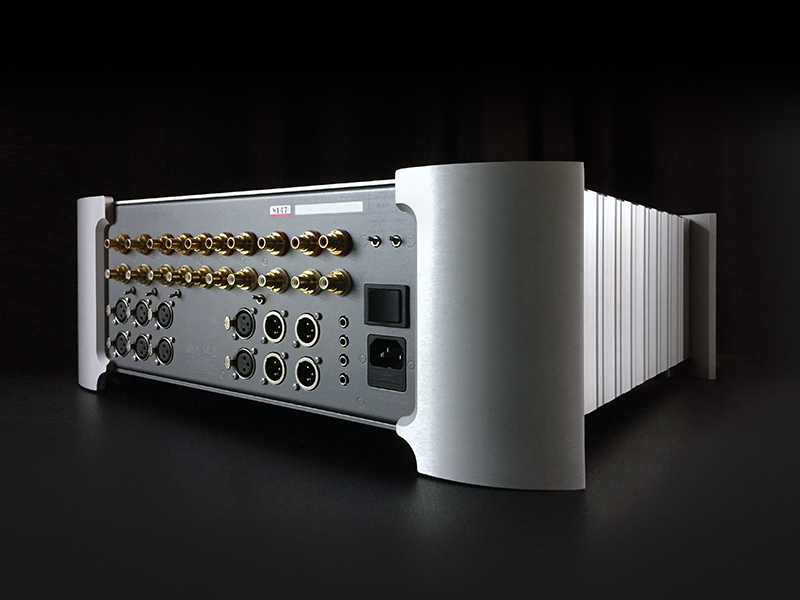 The M-10 preamp is 170 x 510 x 480mm (h x w x d) but weighing 16kg it isn’t too difficult to pick up and move around. The A-300 power amp is another story. Measuring 285 x 510 x 550 mm (h x w x d) and weighing 57kg, it needs a bit of muscle to get it, well, anywhere. Both are thick solid aluminium encased affairs in splendid ‘Plinius Vintage Silver’, and the A-300 is a particularly fine-looking beast, its size and those massive and distinctive heatsinks on each side giving it something of an industrial look. The front panel is kept simple: the Plinius logo engraved in the centre, a small LED display light which gradually lights up to full brightness as it powers up, a mute switch which rather handily can be engaged before swapping cables around without having to turn the amp off, and a Class A switch. The A-300 can be operated in either Class A, a design with typically lower distortion, or Class AB. In Class A, the A-300 keeps all of its potential current flowing continuously rather than varying along with demand as with other amplifier designs such as Class AB. This means the A-300 is always ready to go and up for any demands required. It also means it produces heat – and a fair amount of it. Plinius states the amp uses around 1000 watts of power in Class A, which is about the same as a small electric heater. I haven’t seen my power bill yet but be prepared to sweat, as I did, in my 3.7 x 4.6m room – and that was just in idle with no music playing. AB obviously runs much cooler, so the amp can be left in this mode for non-critical listening (it still sounds fantastic) or when you just want to keep the amp running so it’s ready for your next session, which is recommended. A cool feature of the A-300 is that it switches into Class AB automatically if no signal has been detected for a certain time, the length of which can easily be adjusted from off to 15, 30 or 60 minutes by removing the lid and moving some jumpers. When you switch back to Class A, the amp will be warmed up and ready to use within minutes. It could just have been my imagination, but I felt giving it at least 20 or 30 minutes was best. And the differences between A and AB are not subtle, as I shall get to later. Around the back are the input terminals for connecting to a preamp and you have a choice of RCA or XLR balanced inputs. Between these inputs is an Amplifier Configuration Selector where you have the option of RCA or XLR stereo or RCA bridged mono or XLR balanced mono. Most of us will likely only need one of the first two options but if you’re lucky enough to have two A-300s or a mono setup, the other two options are for you. There are two sets of impressive looking WBT ‘NextGen’ loudspeaker terminals which gives the option of bi-wiring your speakers and there’s the power on/off switch, power cable input and a ground lift switch which can be employed to help prevent any ground loop hums in your system by disconnecting the signal ground from the chassis. There is also a 3.5mm trigger input for easy remote-control operation. In stereo, and as its name implies, the A-300 puts out 300 watts per channel into 8 ohms; in mono it is 1000 watts into 8 ohms or 1800 watts into 4 ohms. This means you can happily drive a range of power hungry speakers – Plinius recommends 200 watts or more though 100 – 200 is also possible if you’re careful not to drive them to clipping. There is an error detection function, which puts the amp into mute and disconnects the speakers if the amp is overdriven or clipped or if a fuse blows. In my case, my Reference 3A floorstanders, which are 120 watts, 6 ohms and rated at 90db sensitivity appeared to absolutely love the Plinius amps and never distorted or clipped even at very high volumes. Input impedance is stated as 47k ohms and power consumption in idle in Class A is 1100W as opposed to 184W in Class AB. According to Plinius engineer and designer of the Reference Series, Karl Willoughby, while the Reference A-300 is a revision of previous models, every part of it was reviewed and evaluated before being redesigned. “The housing and construction is completely new and while the configuration remains similar, every subsection of the electronics has seen changes to components, specification, layout and interconnection to further enhance what was already a world-class design.” The A-300 uses high quality, low noise audio grade capacitors, low noise power components and custom high capacity (and, understandably, high temperature) power supply capacitors. Moving on to the Reference M-10, according to Mr Willoughby “… this is an entirely new, fully discrete, dual mono preamplifier, designed from the ground up. Low value, audio grade resistors are used to minimise noise and, when combined with the adjustable gain feature, reveal extraordinary audio detail. 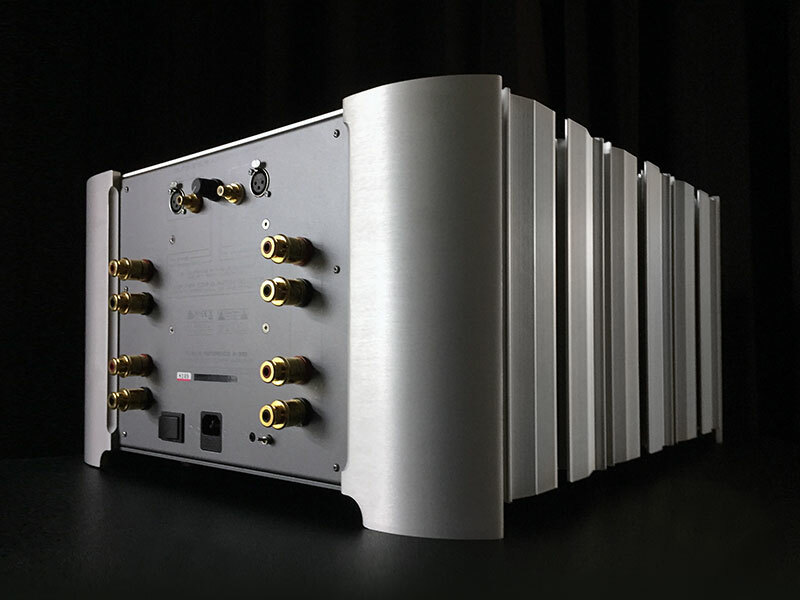 We believe this is amongst the world’s best performing preamplifiers.” No mere boast, I left that last part in because, in my communications with Plinius, specifically New Zealand and Australia Sales Manager Johnny Harrison, I get the sense of a feeling of immense pride in everything that they do, which is of course as it should be. On the front of the handsome M-10, either side of the Plinius logo are two large knobs – one for balance adjustment and one for volume control. Between these is the blue LED power indicator and along the bottom is a row of six source selection buttons with their associated white LED indicators to show which input is currently selected. These are labelled Phono, Line 1, Line 2, Line 3, Line 4 and line 5. There is, however, no actual phonostage built into the M-10, and the input is labelled Phono merely for convenience. The Reference Series is literally a separates product range and I’m told it will expand in the (hopefully near) future to include a range of components – hopefully a phonostage and DAC are in the works. Lastly, on the front are two more white LEDs, one to show whether the HT Bypass input is engaged and one indicating that the phase of the input signal is inverted 180 degrees. Both of these can be activated with the remote control. Looking at the rear panel, we have both RCA and XLR balanced source inputs for Phono and Line 1 and 2, each with its own toggle switch (gosh I love toggle switches) for selecting between the two and standard RCA for the remaining inputs. HT Bypass and Pre-outs also have both RCA and XLR connections and there are RCA connections for Line Out, which can be used to record from whichever source is selected. The HT Bypass is for using with home theatre AV receivers if you want to use the Plinius to drive the front two channels of a surround set up. Also on the back is a ground lift switch for eliminating ground hum, a high/low gain switch, power on/off and power IEC socket. I left the amp powered on at all times and just put it into standby using the remote when not in use. The innards of the M-10 preamp. I have to mention the remote because it is a work of art in itself – a gracefully curved piece of solid silver aluminium atop a black metal case housing the internal components. It is very long and heavy and unless you wear steel-capped slippers around the house, do take extra care not to drop it on your or anyone else’s toes because it won’t tickle. The Plinius amps simply exude high class and high end from the beautifully built enclosures right down to the luxurious source and speaker inputs and I could not wait to listen. While I was letting the amplifiers warm up and at the same time familiarising myself with their sound, I was running my tuner – a well reviewed Denon affair hooked up to a proper outdoor aerial – with 95bFM, an independent station that has never suffered the terrible shouty highly compressed nature of the commercial stations in this country. I noticed even at this stage how much more depth and appeal the Plinius combo were giving to even the less interesting songs being played. It was perhaps because of this that I selected a bFM favourite, Auckland four-piece band Soccer Practise, to begin my listening sessions. Soccer Practise’s debut self-titled album (24/48kHz FLAC) was one of my favourite releases of 2017, with its layered electronic beats that are as easy to dance to as they are to chill out to, and singer Geneva Alexander-Marsters’ lovely plaintive voice. And it’s a very nice recording to boot. A couple of the tracks are sung in Te Reo M?ori, a beautiful language to hear in song and which phonetically goes so well with the music. Now, given the size of the A-300, I couldn’t help but imagine it having a sluggish nature – all beef and muscle but kinda slow – but I couldn’t have been more wrong. The sound it produced, along with its partner, the M-10, was quick and sprightly with not a trace of lethargy. The soundstage, wide and deep but not unnaturally so, contained sharp, stable images with loads of air, tonal contrasts and crackling energy. Bass was exceptionally deep and precise, each note clear and stable. Alexander-Marsters’ vocal had me convinced that hers was one of the most believable deliveries I’ve heard in my system. I realised I had not thus far heard my speakers sound so free and open and in fact, so not there. This was just as clearly evident when I listened to another current favourite released last year, Jane Weaver’s Modern Kosmology (24/96kHz FLAC). With the track ‘The Architect’, I was enveloped by the huge dramatic drum intro and the motorik bass line and electronic effects thrummed along as though the speakers did not exist. Top to bottom the sound spectrum was evenly balanced and it spread out far to the left and right of the room without sounding stretched and unnatural. But what struck me was the way Weaver’s voice hung in the centre of it all, a life-like hologram, the sound rushing from behind and around her towards the listening position, not entirely inexplicably putting into my head an image of the Red Sea parting for Moses. My speakers usually do holographic very well, but the illusion was greatly enhanced by the Plinius amps. Whatever I played, the sonic picture was high and wide, performers recreated in excellent scale with incredibly insightful, three-dimensional depth. At times I felt and wished that I could get up and wander in and around the performers, giving them an appreciative look or gesture before returning to my seat. If that sounds overly dramatic on my part, I dare you to not have the same reaction. The A-300 gripped onto the drivers of my Reference 3A speakers with total authority and along with the zip and accuracy of the M-10, provided one of the most stable and exciting soundstages I have heard. Leonard Cohen’s baritone on his album You Want It Darker (16/44.1kHz FLAC) was so deep and gravelly, I could barely believe my speakers were capable of it. The way his voice rattled out from the depths of his chest caused me to hold my breath; there was added portent from knowing he’s no longer with us and something about the Plinius’ clean and lush delivery reinforced this. No doubt adding to this, I’ve been reading Leonard Cohen’s biography over the summer (I’m Your Man by Sylvie Simmons). It’s a weird thing reading about someone from the moment of his or her birth, up to or near the point of his or her death. A person’s entire life contained within the pages of a book, no matter how full and interesting, can be a strange and poignant thing. My own biography would be a mere pamphlet. At least in the context of his records, Cohen remains alive and what better way to hear him as he was than through the M-10 and A-300, which portrayed his music and words as elegantly and civilised as the man was himself. Spinning the vinyl version of Duke Ellington’s brilliant Duke’s Big 4 (1974, Pablo Records), the speed, finesse and detail of the M-10, partnered with the power and driver-gripping authority of the A-300 allowed the album to be heard in all its raw, immediate glory. The scale, not just of the instruments but also of the positioning of each performer in relation to each other added to that uncanny sense of realism. The hammering and ultimate decay of the Duke’s scattered piano notes were timbrally accurate and exhilarating. The drums sounded free and lively and the dynamics and attack within each drum solo was magnificent. The fast-fingered fretwork of guitarist Joe Pass really stood out more than usual too as he explored musical themes and tempos. On John Coltrane’s Lush Life (1961, Prestige Records, 180g vinyl reissue), Coltrane’s tenor sax was bright, expressive and colourful, belting out the almost exploratory notes with a golden fluidity that held my full attention. The accompanying loyal thrum of the bass and rhythmic urge of the drums seemed more present than usual though the leader’s sax was still given priority. The silent background provided by the Plinius pair really helped recreate this session in a three dimensional and faithful manner. If CD-quality FLAC and vinyl recordings sounded uncommonly good, rest assured that higher resolution digital (24/192kHz, e.g. Helge Lien Natsukashii) and special vinyl reissues (such as Mobile Fidelity or Abbey Road Studios half-speed 45rpm remasters, e.g. Brian Eno’s Here Come The Warm Jets, Grateful Dead’s American Beauty) sounded simply sublime. There was even more depth, fluidity and sparkle and again, that word, elegance. The sense of space – within and of the recordings – was heightened as were the levels of texture and detail composition. The good thing about the Plinius amps, however, is that they don’t appear to thrive on any particular recording type or musical genre. Everything is given a chance to shine. Earlier I mentioned the not-too-subtle difference between Class A and Class AB. There were a couple of times when, part way into a listening session, I suddenly forgot I’d left the A-300 in AB. First off, Class AB sounds excellent and will beat the pants off many amplifiers whatever their Class or configuration. Secondly, the difference between the two is something to behold. After switching to Class A and while allowing up to half an hour for it to kick in to full heat, I could hear the sound becoming more expansive before my ears. The whole soundscape opened up and became sharper, more stable while inner details revealed themselves further and bass became fuller and even more fluent. Vocals that already sounded splendid in Class AB became ever-more present. It wasn’t that it became like a different amplifier, more that everything that was good in Class AB became even better in Class A. 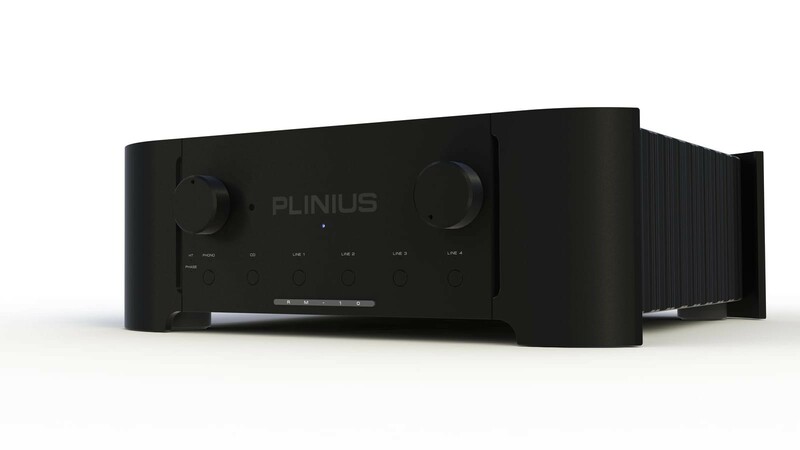 The Plinius Reference amplifiers are fast and snappy and, I believe, have the enviable ability to please both audiophiles and music lovers alike. Even with all that beefy power and deep, tuneful bass, the A-300 and M-10 pairing have a very delicate and discerning touch so any little details and vocal or instrument inflections can be easily distinguished. Nothing I heard sounded exaggerated, not even the lower frequencies – everything was natural and unforced, elegant and neutral. I have never been a big fan of patriotism – in the wrong hands it can be extremely dangerous, much like religion, or audiophilia – but I couldn’t help feeling a swell of pride when listening to this New Zealand-built pair, especially given their world-class build and sound quality. I think we can all guess that they are not inexpensive, but this would have to be an investment well worth exploring if your budget is that way inclined. 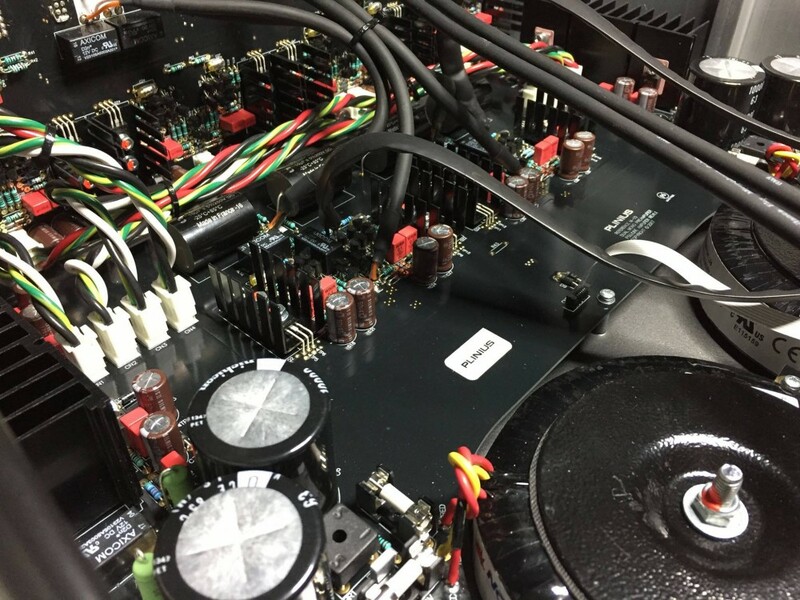 The innards of the A-300 power amp. What with Christmas, New Years, work and holidays my time with the Plinius amps was all too brief. I would’ve loved to have heard them with some towering floorstanders and perhaps some top of the range Metrum Acoustics DACs but my lasting impression from my experience is that these are inarguably world class high end amplifiers which are soaring high up there with some of the world’s best. Really only one thing remained for me to puzzle over: what the hell is the plural of Plinius? Actually the word is Plinii, but that sounds a bit weird. Note: As Plinius does not give out NZ RRPs, we have based RRP on its cost internationally. We advise that you check with Plinius for exact cost if you’re serious about these babies. Having begun collecting music and attending concerts from the age of 10, Mr Baker became a full-blown audiophile in his mid-twenties. He loves discovering new music and despite an undying love for vinyl, enjoys all formats. He divides his spare time between raising his kids, laughing at his cat and writing about hi-fi. When he grows up, he wants to be a rock star. Nice – I think the amp you were referring to as the old reference was the SA250 which is what I had from the same shop. I ended up using a pair of VTLs for the mids and highs leaving the Plinius for the bass – which, with a few modifications to the mains wiring, rendered a deep and powerful and fully controlled bottom octave like I’ve never heard before. It could easily shake the concrete foundations at subsonic frequencies. Sadly the sound gear has now been traded for a baby female human but it wouldn’t be much of a decision as to what names take place in the listening room again when the time comes. Nice review – wish I could do your job – Cheers.